I'd not heard of this pattern on decorated Carnival before this pitcher and two tumblers sold in a Seeck auction in 2013 for $225. 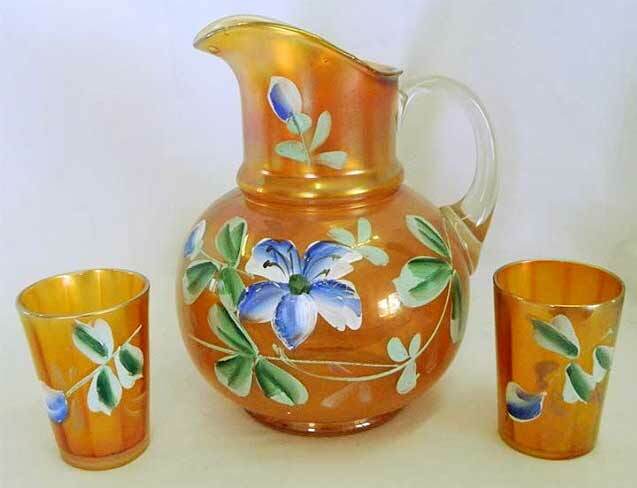 In 2018, a 7-piece water set listed as this pattern, sold for $400. Also in 2018, two marigold tumblers sold as a set for $30. 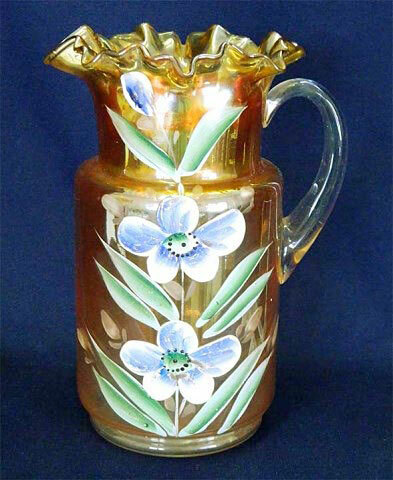 This water pitcher, different in both design and decoration, sold in 2014 and was also listed as Periwinkle. It brought $150. Two similar pitchers, each with a tumbler, sold in 2014 for $175 and $200.